Thirty kilometres from the city of Lugo, the large, luxuriant forest of A Marronda is in an exceptional state of conservation. 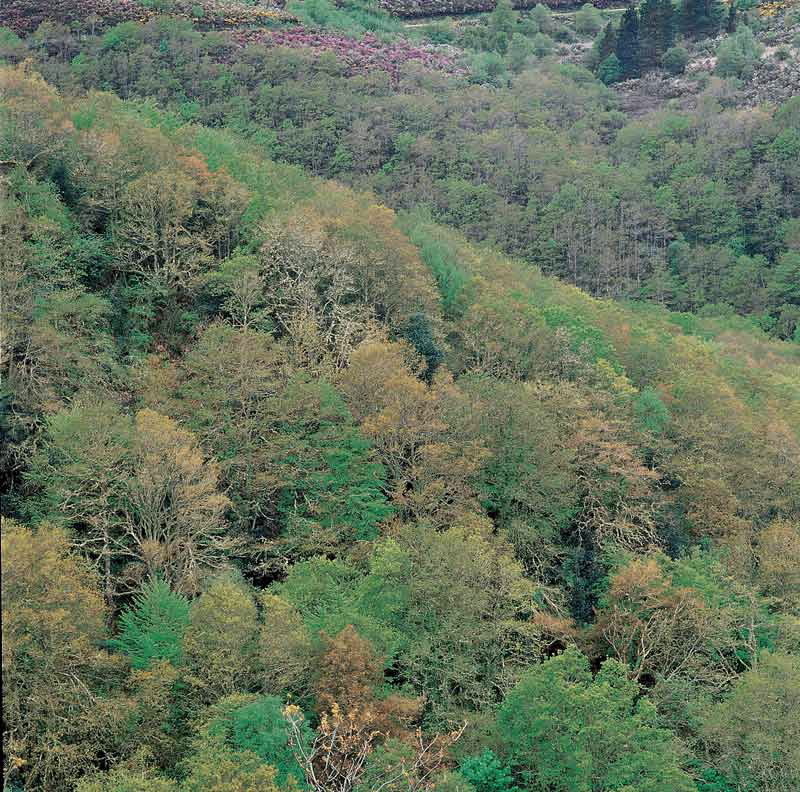 It is regarded as the mother of all the mature forests of the Baleira mountains, from which the Cantabrian Eo and Neira rivers spring, in Fonteo and A Fontaneira respectively. To the fierceness of the river courses, transformed into meanders, the beauty of the deciduous trees lining the riverbanks must be added. Among them are an abundance of beech trees, unusual in Galicia. The trails making up the route of the Gran Recorrido GR-1 (Long-distance Footpath) enables various routes to be taken, always subject to seasonal weather conditions. The recreation areas of Fonteo and Cortevella, with an interesting lookout point over the Eo meander, are within easy reach. From Lugo, there is direct access via the A-6 highway, on the A Fonsagrada (LU-530) road, O Cádavo - Meira (LU-750) turnoff. Another alternative is along the N-VI, taking the LU-710 road in Baralla. In the municipalities of Baleira and A Fonsagrada (Lugo).